Sri Vaishnava sampradaya people regard this thiruppavai book as very auspicious. Thiruppavai is a collection of 30 stanzas or verses (known as paasurams in Tamil and Telugu languages). 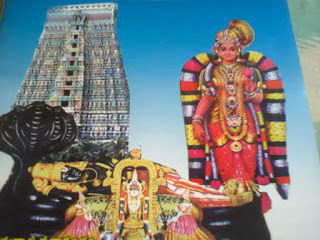 They were composed by Sri Goda Devi, also known as Andal who has been a great devotee and lover of Lord Krishna in the form of Sri Ranganathaswamy. 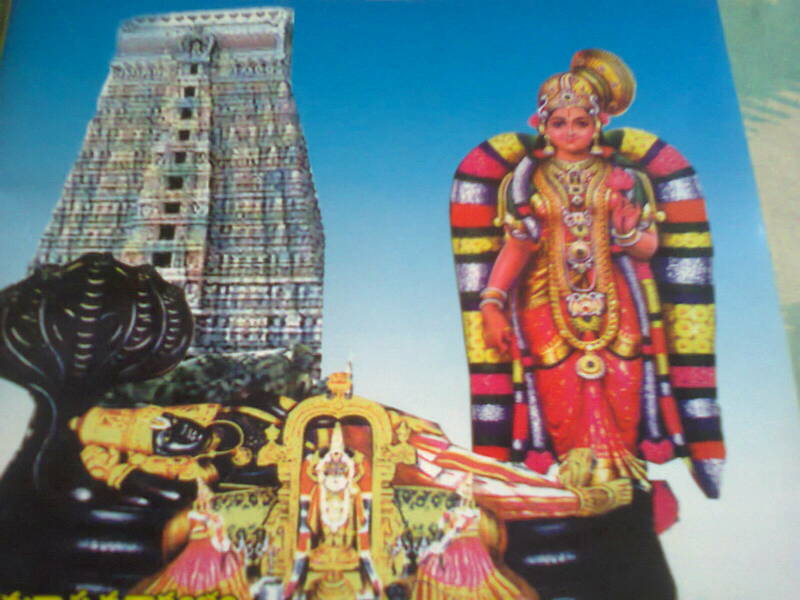 Goda Devi was the adopted child of a great priest named Vishnu Chitta of that Ranganathaswamy temple. She got attracted towards God since her childhood and developed pure love with Him as she grew up. She decided to marry God only and not any human being. In order to attain the unity with Him, she performs the Vrat (vow or penance) of Pavai. Thiruppavai means holy or respected Pavai penance. She performs this vow in the guise of a religious ritual. It is performed by her during the auspicious month of Marghazhi (December 16 to January 14) which is considered to be a part of the celestial dawn in heaven. Andal (Goda Devi) assumes herself as a cowherdess and invites other young girls also to perform this ritual along with her to seek eternal bliss. She performed this penance for 30 days, getting up early at Brahma muhurta and worshipping God, each day with one verse composed by her in praise of the God. To know how to perform Dhanurmasa vrat rituals, view this article about "Dhanurmasam". The first five verses of thiruppavai give an introduction towards the main purpose and theme of performing the ritual. Common people seek for happiness in life. But, Andal does not seek material happiness. She was after the eternal happiness and bliss of attaining unity with God even though other members of her group think that she is doing this for worldly happiness like them. Goda Devi tells here that people should give up their luxuries and worship God for possessing happiness in life. They should get up early in the morning, take bath and worship God with flowers, other offerings, and with a sincere faith in Him seeking his blessings and happiness. She tells that honest prayers can bring rains and prosperity in their lives. The next ten stanzas of Thiruppavai are about the importance of collective participation and the part of nature and surroundings in making your penance successful. She also stresses the importance of performing one's daily duties honestly without escaping them in the pretense of being busy in performing spiritual rituals. She goes around the locality waking up each friend to take part in the ritual along with her, describing the beautiful surroundings of nature, like the chirping of birds, the beautiful colors of the sky and clouds, the blossoming flowers, their enchanting fragrance, the ringing of bells from the necks of cattle, the chantings in the temples and sounds of conches, etc. All these are also a part of our daily life. So, Andal reminds all that they should get up early from bed and perform their daily routines along with involving in spiritual meditation and rituals. She also tells us that we should restrain ourselves from indulging in material worldly pleasures of life by curtailing our desires, ego, prestige, and pride. Then only God gets pleased and provides all blessings and happiness to us. The verses from 16 to 22 are rendered in waking up Lord Krishna's father, mother, brother, consort Neela and Krishna. In these verses, she praises their great virtues and at the same time reminds all that God is not limited to some particular people but belongs to all his devotees. No one should forget this fact and hinder others from seeking his company and blessings. In the next 5 stanzas of 23 to 27, Andal seeks Krishna's forgiveness for awakening him so early in the morning and enumerates all His virtues and praises Him. The 28th verse narrates the humbleness and ignorance of people in realizing God and seeks for His gifts in the form of eternal bliss. Verse 29 narrates her, along with other devotees', determination to perform this penance or ritual of Pavai to seek eternal happiness and relief from worldly problems. Verse 30 is the concluding stanza describing her compilation of these 30 verses to the dedication of God and that whoever will recite these paasurams daily for 30 days without failure will attain all pleasures and blessings of God. This is the essence, importance, and purpose of Thiruppavai which is being recited by Sri Vaishnava people, especially, during this month of Dhanurmasa. To know more about the story of Andal or Goda Devi view this complete "article on Andal's life and her greatness". I will deal with each paasuram in elaboration with full meanings in my next posts.